The baking industry faces many unique conveying challenges. Bakeries must meet the stringent quality and sanitation standards set by the FDA, while trying to limit product loss and maintaining costly systems. From forming to depanning, many highly specialized light-weight belts are required to move product. Empire Rubber & Supply provides solutions for many of these applications: Easy-release belts for sticky doughs, highly flexible belts for nose-bar transfers, flat wire belts for high temperature baking and low temperature cooling, plastic modular belts for corner-turns, tube forming belts for bagel applications, and many others. Empire Rubber & Supply also provides conveying components and accessories. From stainless steel belt scrapers, to high-temperature release tape for package sealing machines, to round Eagle/Fenner belts for driving rollers, we have what you need. 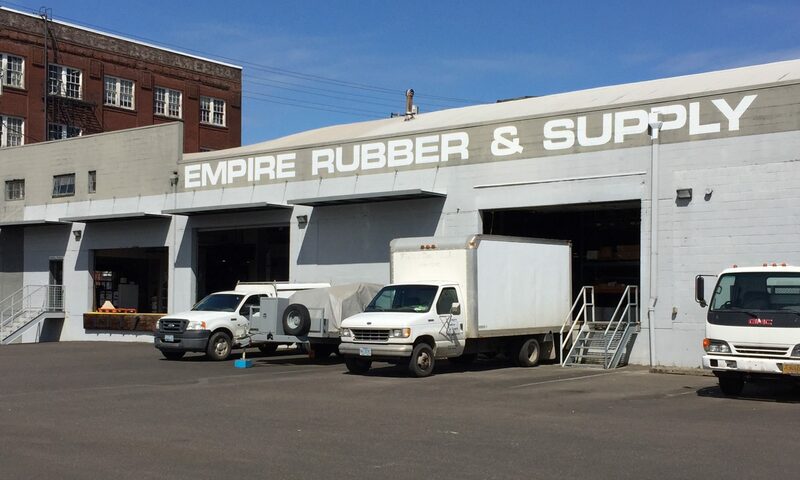 Empire Rubber & Supply offers 24-hour on-site installation/vulcanization, so if you need help with your conveying system today, give us a call.